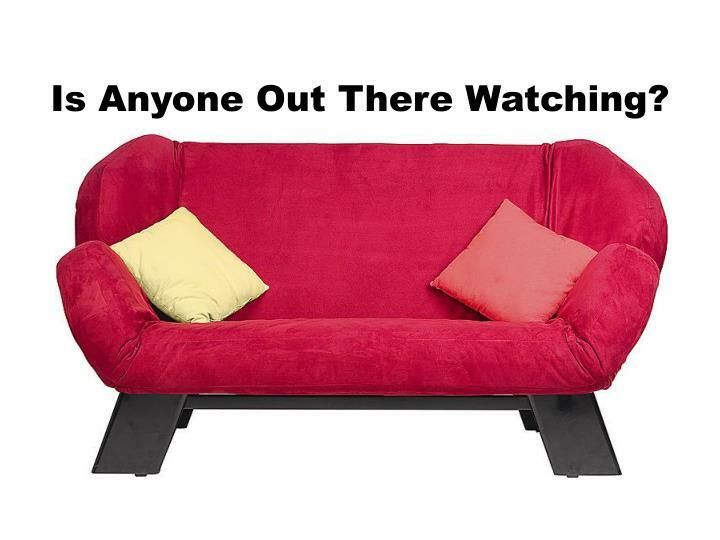 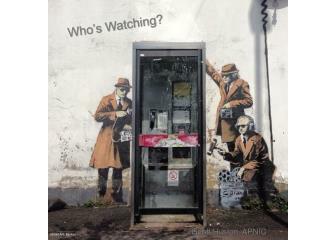 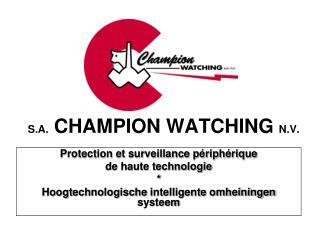 Is Anyone Out There Watching? 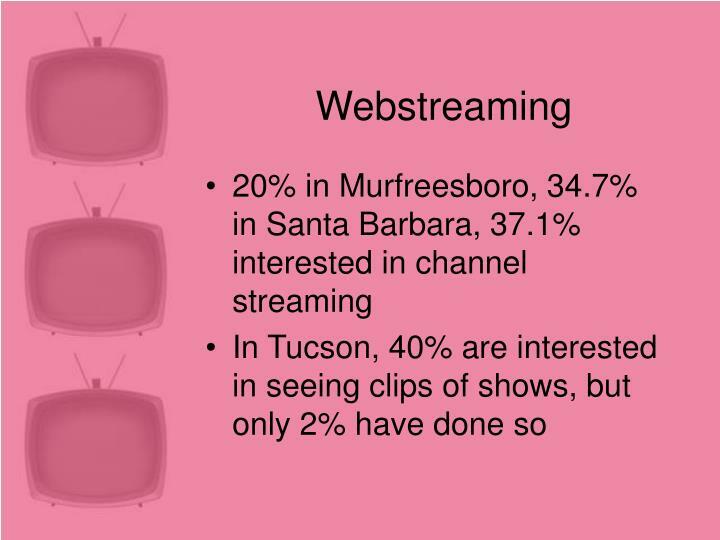 Where does the viewership come from? 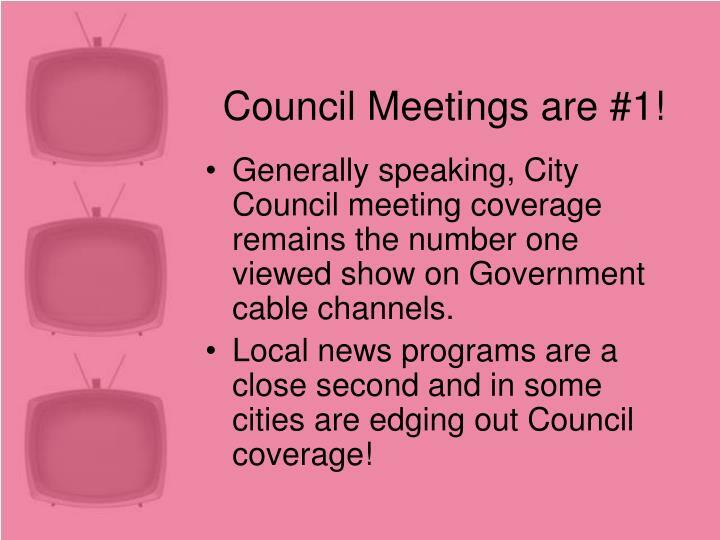 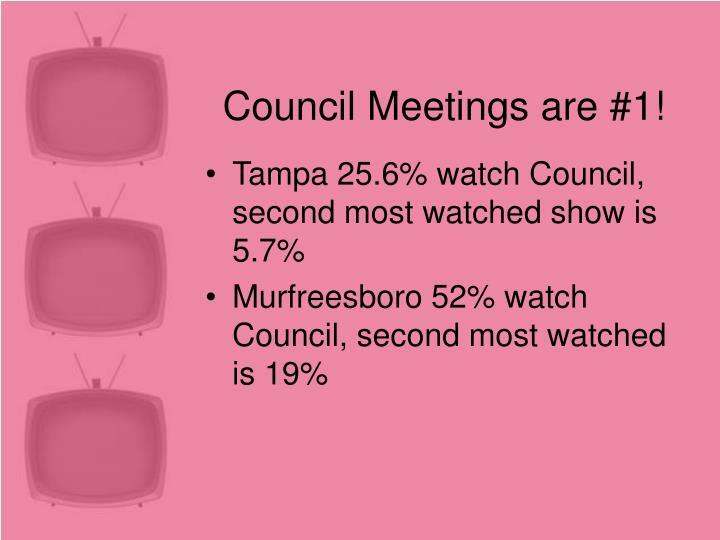 Generally speaking, City Council meeting coverage remains the number one viewed show on Government cable channels. 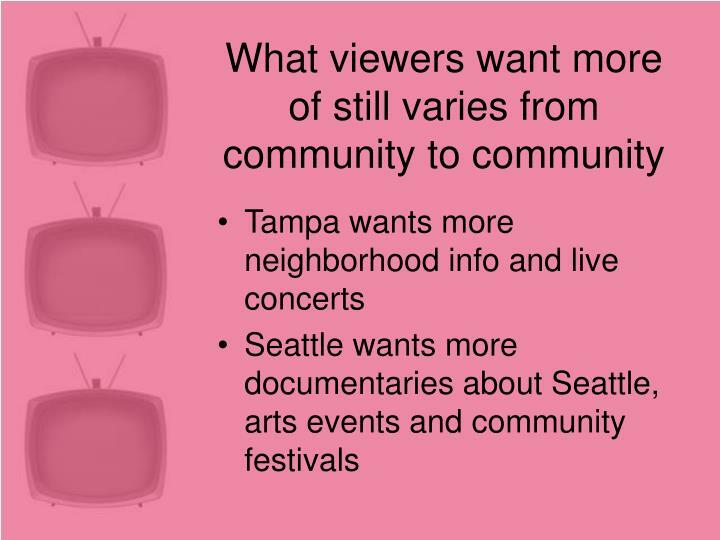 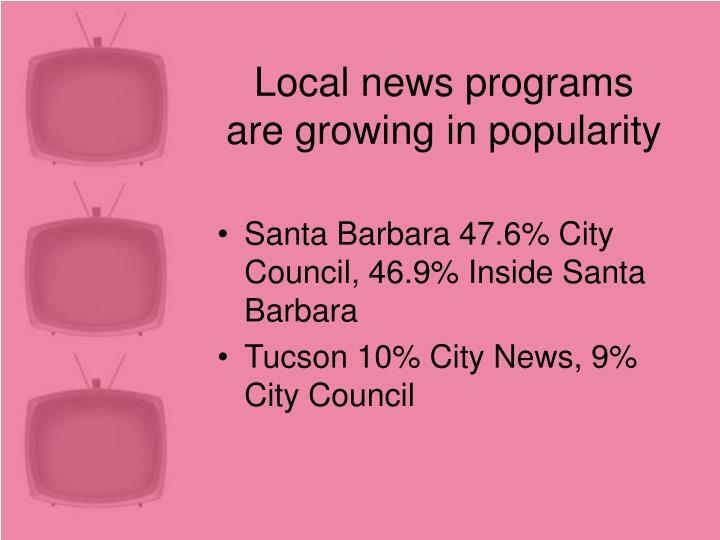 Local news programs are a close second and in some cities are edging out Council coverage! 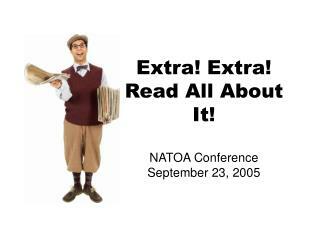 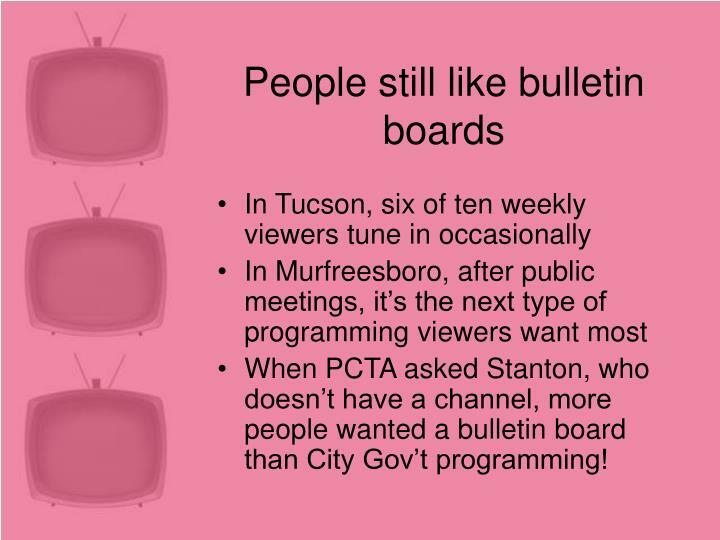 When PCTA asked Stanton, who doesn’t have a channel, more people wanted a bulletin board than City Gov’t programming! 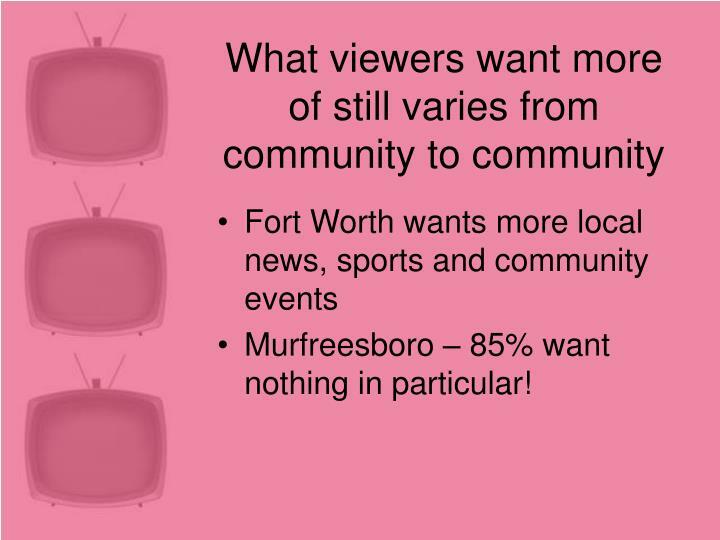 Murfreesboro – 85% want nothing in particular! 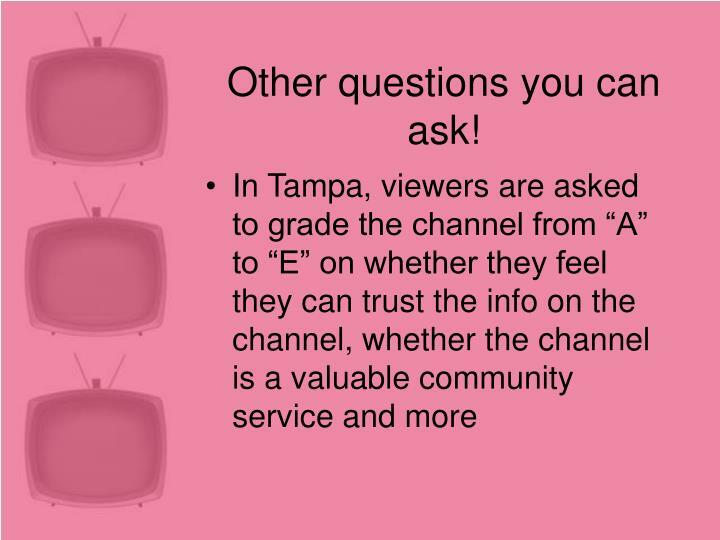 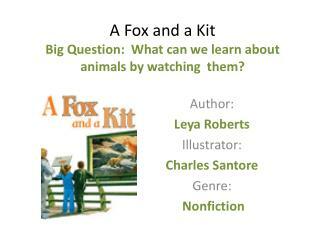 Other questions you can ask! 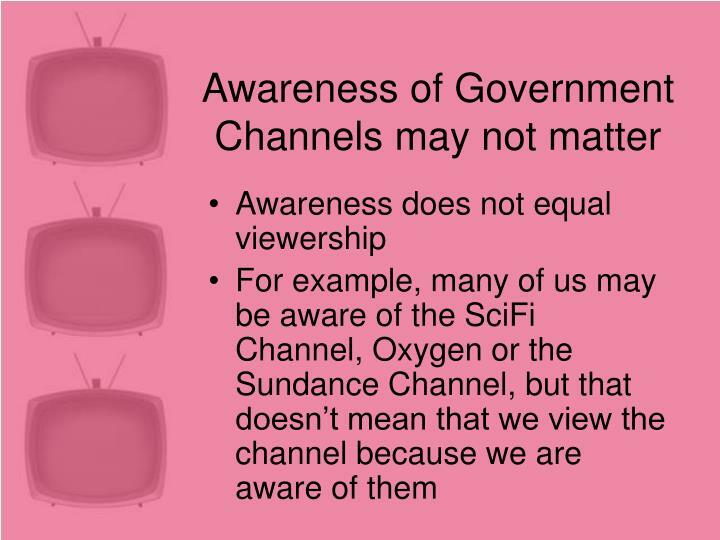 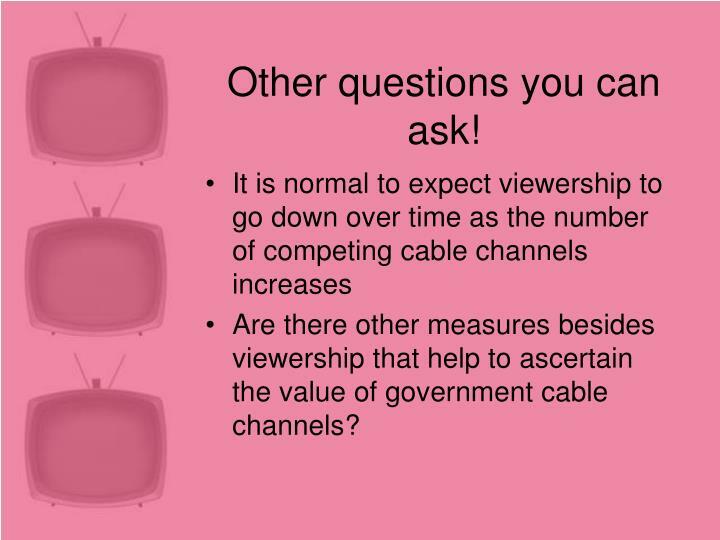 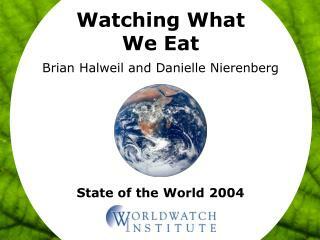 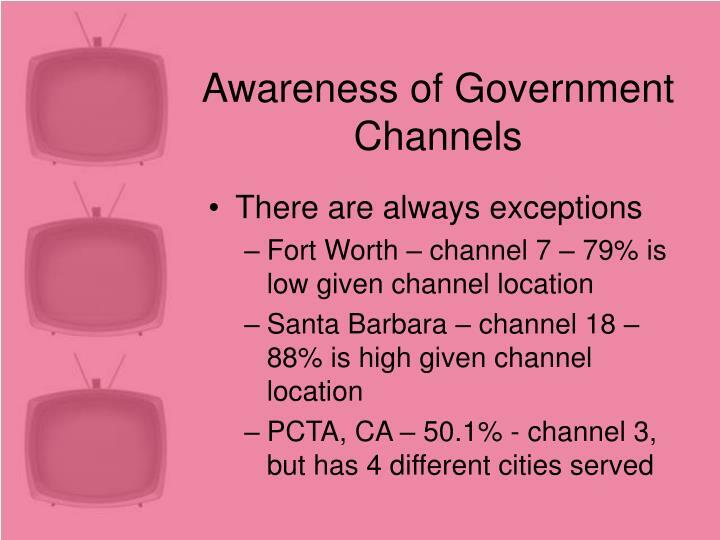 Are there other measures besides viewership that help to ascertain the value of government cable channels? 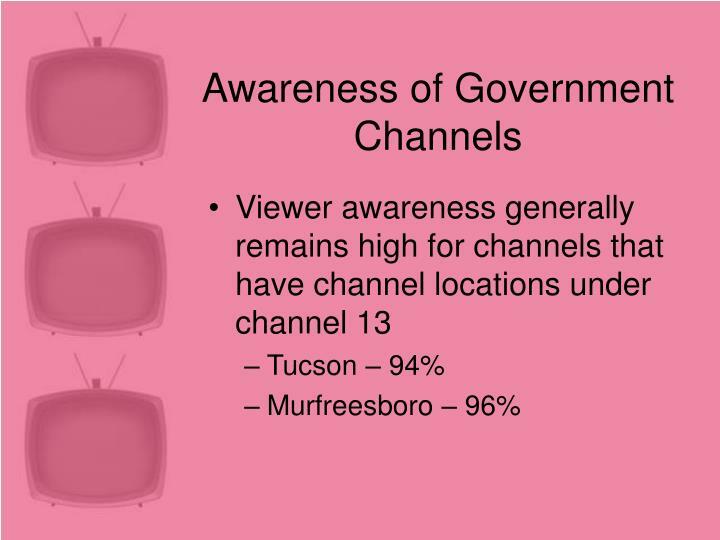 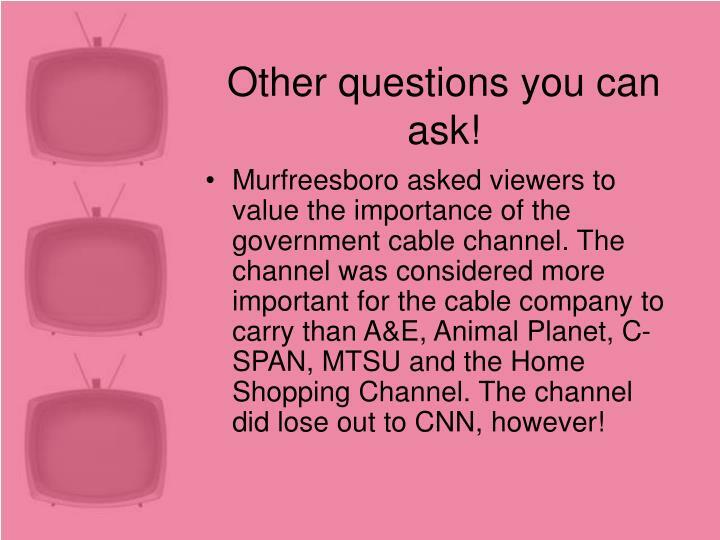 Murfreesboro asked viewers to value the importance of the government cable channel. 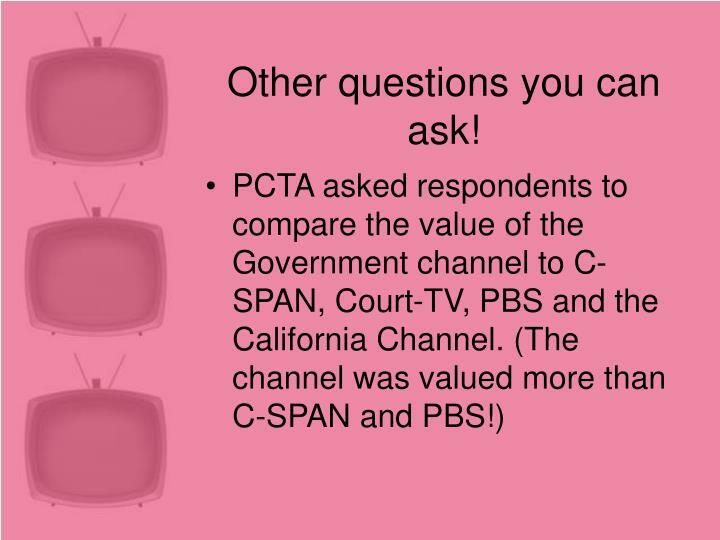 The channel was considered more important for the cable company to carry than A&E, Animal Planet, C-SPAN, MTSU and the Home Shopping Channel. 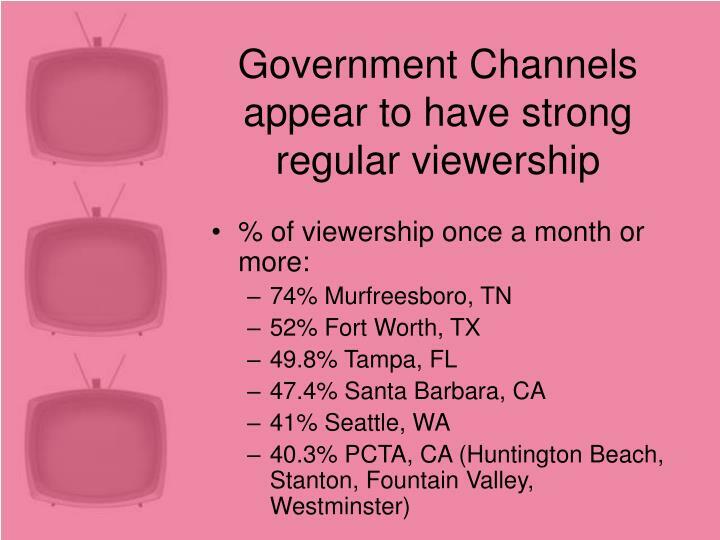 The channel did lose out to CNN, however! 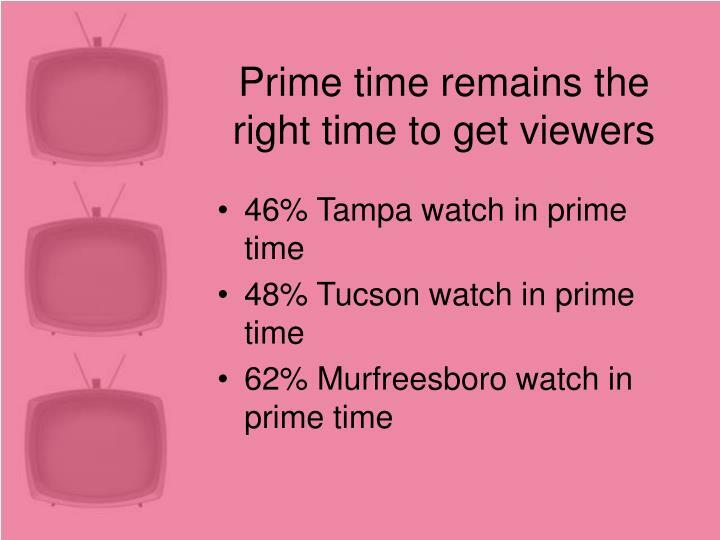 Since most viewership comes from channel surfing. 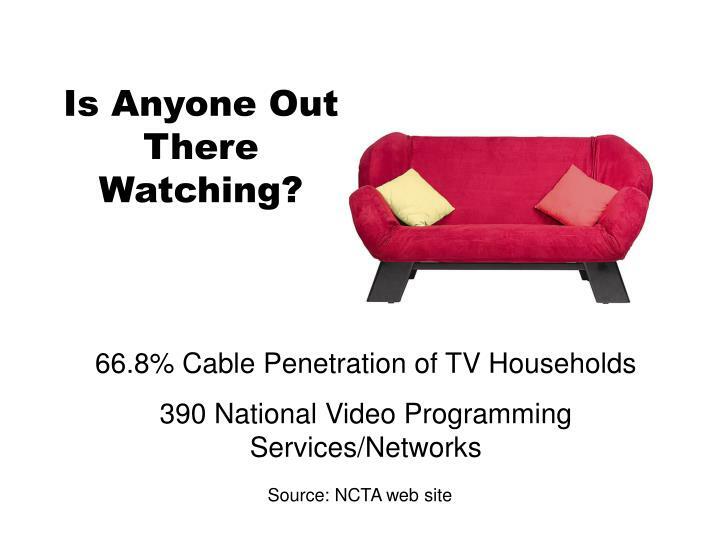 Your interstitials are very important! 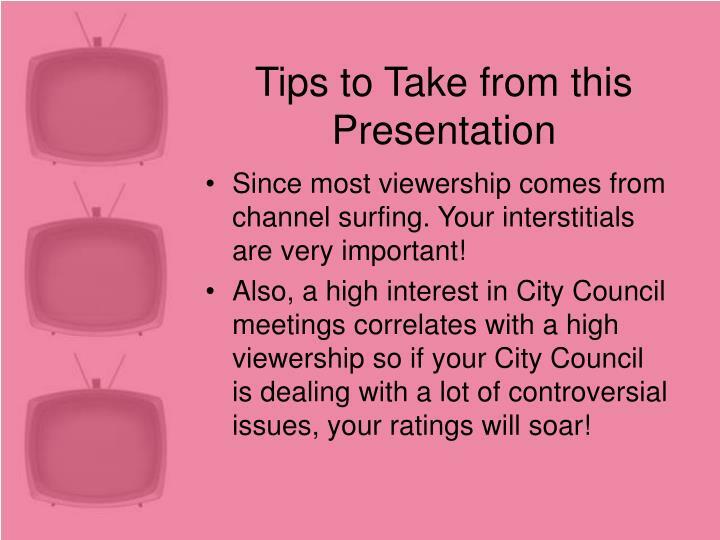 Also, a high interest in City Council meetings correlates with a high viewership so if your City Council is dealing with a lot of controversial issues, your ratings will soar! 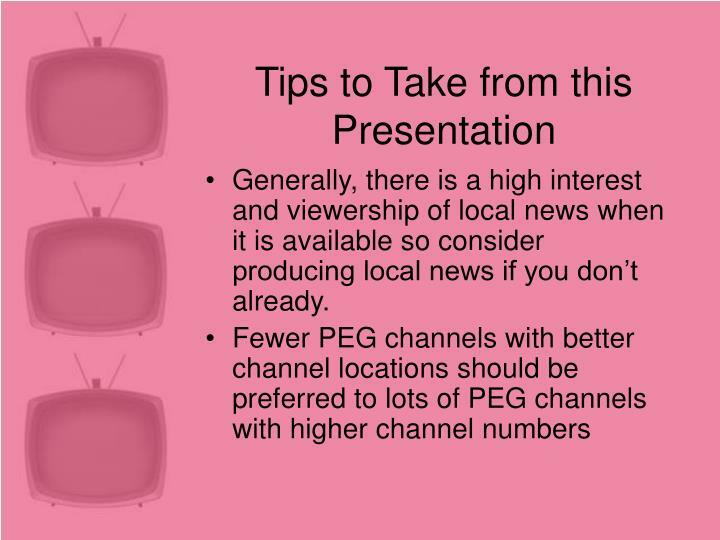 Generally, there is a high interest and viewership of local news when it is available so consider producing local news if you don’t already. 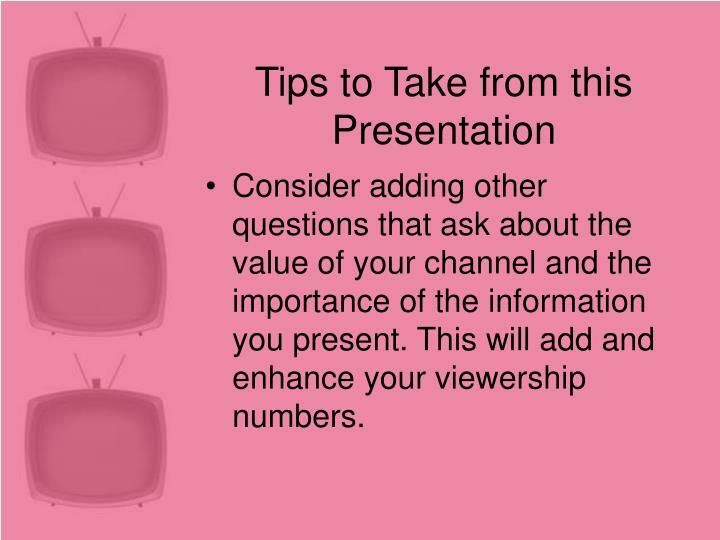 Consider adding other questions that ask about the value of your channel and the importance of the information you present. 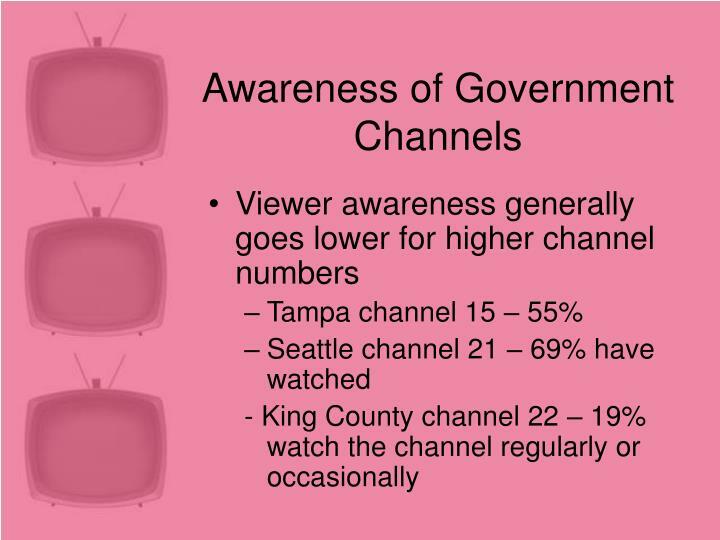 This will add and enhance your viewership numbers. 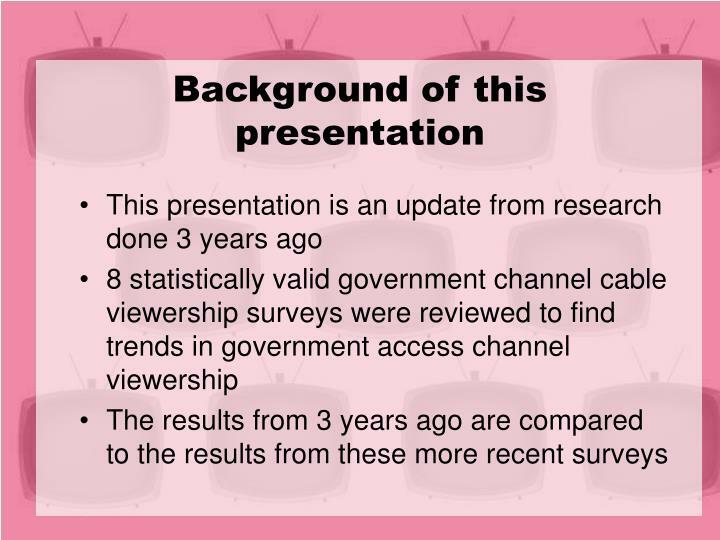 And others for sharing your surveys! 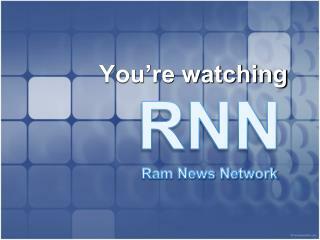 BEFORE WATCHING -How much do you know about woody allen? 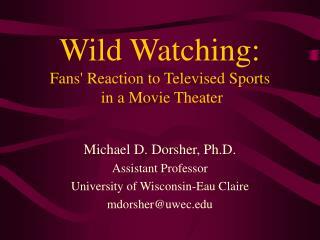 do you like his films ? 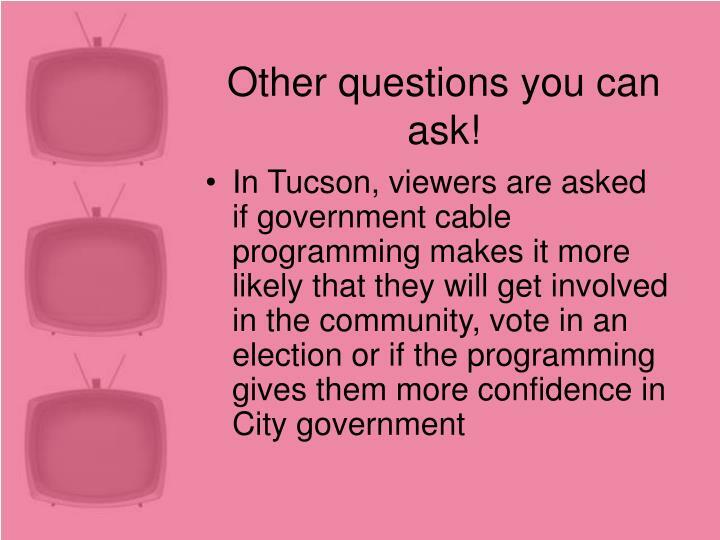 yes/ no ? 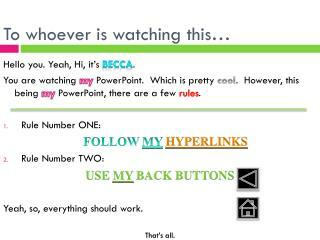 why / why not ? 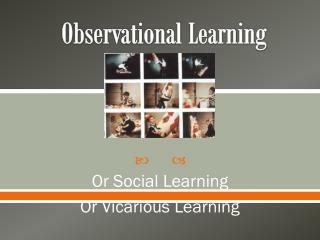 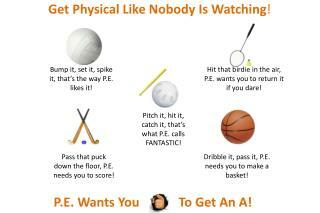 can you mention any examples ?. 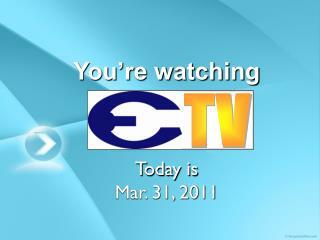 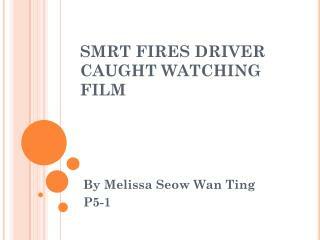 before watching. 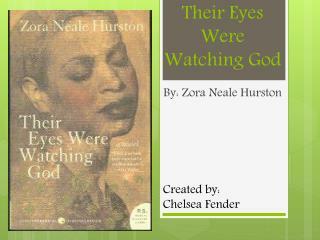 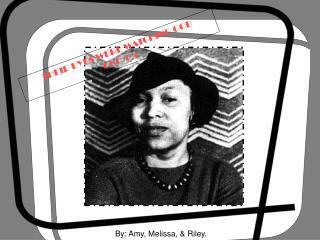 director: woody allen story: are transvestites homosexuals ?